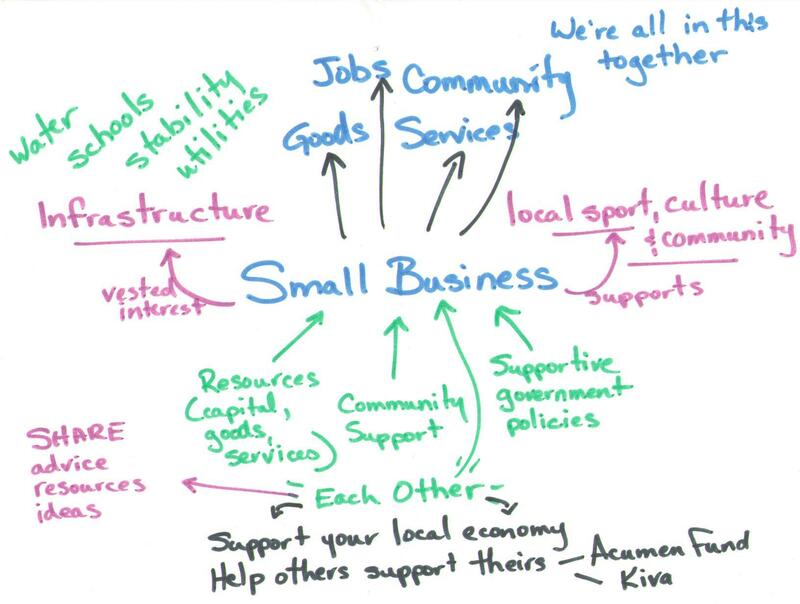 As a small business owner, you are part of a community and this community is important for you as well as you are important for it. Like you Frances has it’s own bookkeeping business to run, and if you are living somewhere near Kentville, Nova Scotia Canada, have a look to her “Cristal Clear” company. On the community side of the equation, she’s an active member of the “Business Owners Success Club”. They start by deliberately working on our businesses every month to continually improve them and ourselves. Every month they choose one aspect of business to improve, realizing the power of groups and taking advantage of the collective wisdom, varied best practices and accountability they offer. Are you active in your community ? Did you joined a local small business club ?